10 Howard Street is of historical and architectural significance at a local level. The house is of historical significance for its association with Robert Gordon Menzies, Australia's longest-serving Prime Minister (1939 to 1941 and 1949-1966). Menzies purchased the house in 1925-26 and it remained in his family until 1966. Architecturally it is significant as an externally relatively intact example of a two-storey brick villa from 1912-13. It is distinctive and unusual design which is atypical of the period and stylistically and formally is suggestive of early moves in the direction of a Georgian and Mediterranean fusion. 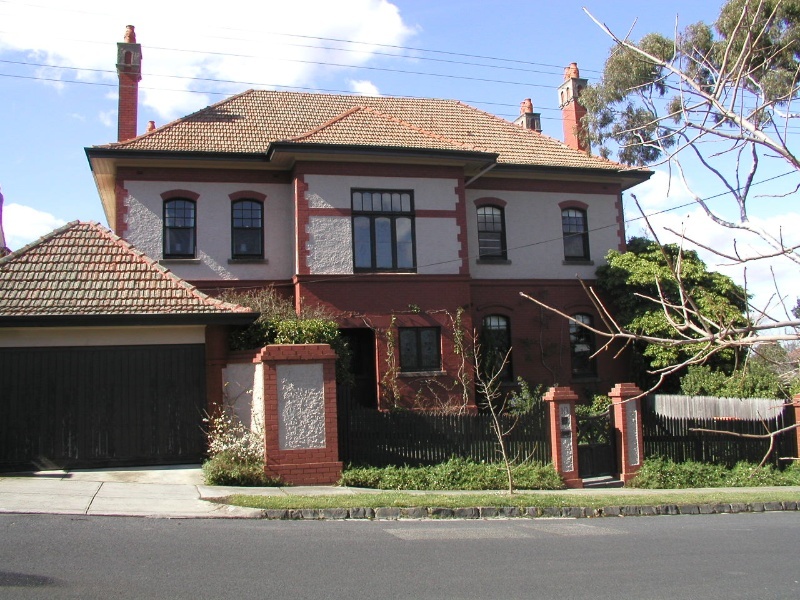 10 Howard Street, Kew, is a double-storey villa of brick construction. The hipped roof is clad with terracotta tiles and penetrated by tall red face brick chimneys with roughcast rendered caps and terracotta pots. The break-fronted, essentially symmetrical facade displays over-painted tuck-pointed face brick to the ground floor level and over-painted roughcast render with face brick quoins, window heads and frieze to the first floor level. The facade is divided into three by a central projecting bay which marks the entrance and contains a recessed porch accessed via bluestone steps, above which is a large tripartite window opening. This window, and a smaller casement sash window in the porch contain leadlight glazing. Elsewhere, windows generally comprise timber-framed double-hung sashes with multi-paned top sashes, bluestone sills and arched brick heads. A timber-framed verandah with typical period detail screens the south-east corner of the house. The property is screened by a non-original brick pier and timber picket fence and timber gate. At the front of the house is a relatively recent garage (post-1988). The south-west corner of the garden contains a small non-original timber shed.